I discovered this elegant recipe at the gas station. After filling up my '79 at our funky local gas station Biofuel Oasis, I took a few minutes to peruse their goods. At Oasis they sell chicken feed, canning equipment, seeds, and books on food. By the time it was my turn to be rung up, I had a handful of books to purchase. 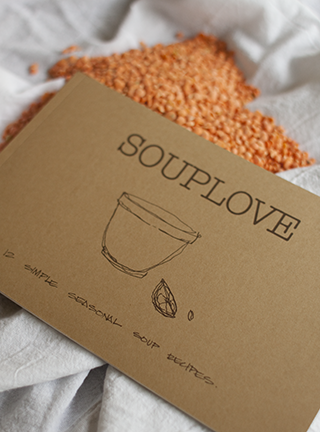 Soup Love with its simple recipes and charming home-grown look was irresistible. 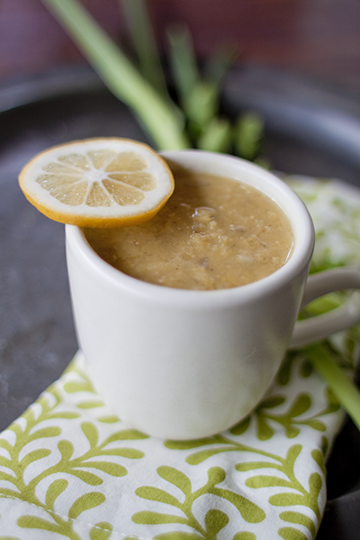 A Lemon Lentil Soup was first on my list of recipes to make and it suits the season. The spring rains are back and I felt the need for a warm soup yet I am still yearning for the bright flavors of Spring. Plus I had every single ingredient at home without needing a trip to the market. It was meant to be. As I sit here writing, I am enjoying the lemony finish of every bite. In a large stock pot, heat olive oil over low heat. 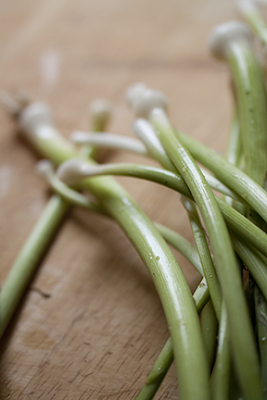 Add onions, celery, garlic, bay, lemon zest, cumin, coriander, cloves and 1 teaspoon salt. Stew covered over low heat until veggies are soft. Add lentils and water. Bring to a boil. Skim off any foam that rises to the top. Reduce heat to low. Cover and cook for 20-30 minutes until lentils are tender. Generously season with lemon juice. I didn't find the need for any additional salt, but feel free. Serve with a thin slice of lemon. Pass around fresh parsley and/or cilantro for topping. 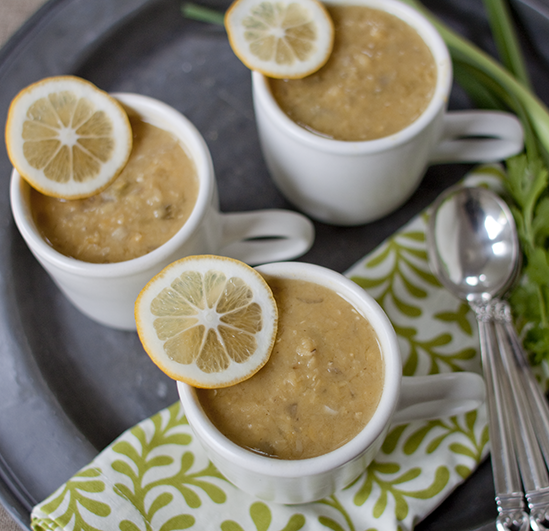 Steaming hot cup of this soup would be perfect right now...on this cold and rainy day. This looks like an excellent version of lentil soup. Thank you for sharing! my mom got so excited about this recipe that she made it yesterday. she said it was delicious! I love soup all year long! This looks yummy. Phyllis, I got the kindest email from your mom about making this soup. It made my day! What a great find, and how amazing you found this gorgeous little recipe book at a gas station!! The soup looks amazing. I love soup, so nourishing and warming. wow that sounds good! i've been on a serious soup kick lately too. :) amazing what you can find when you're not looking, huh? i'm def bookmarking this with my cookmarked.com account! hello--i'm interested to know if the book is sold elsewhere? i couldn't find it in any cursory web searches. thanks! And where to find the book...I bought it last year at BioFuel Oasis in Berkeley and I saw it for sale at The Gardener in Berkeley. Not sure if either still have it, but it is such a sweet book. I hope you are able to get a copy. I made this soup last night. It was yummy! I added another 1/2 cup of lentils as I like my soup thicker. Generous lemon like the recipe calls for made the soup smell and taste fresh, and almost summery. In this cold winter it was very welcome! Rach, You'd love this one!